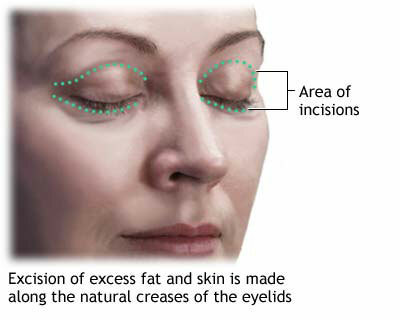 Blepharoplasty is used as a remedy for early indications of facial aging. Apart from the all other procedures under cosmetology, blepheroplasty is also a common procedures under the category. Treatments involving the eyes are usually called blepheroplasty. Non-surgical blepheroplasty has been considered to be an effective and safe non-invasive alternative to the surgical blepheroplasty. It can avoid many of the complications associated with the surgical plpheroplasty. Mainly, the surgical risks such as bruising, infections etc. can be avoided. Another main advantage of the non-surgical blepheroplasty is that, it does not require recovery time. The results are immediate and no need to wait long for that. The procedure is painless and it will not have pain after the procedure too. There will only be minimal swelling which may reduce a couple of days later. The results of the procedure may last up to years. Topical applications of acids are used to tighten and decrease the skin volume in the upper and lower eyelids in this procedure. In certain cases, injections are also used. It can increase the volume in the required area temporarily. The result may vary from that of the results of the surgical procedure. It may not give the same effect.